Ahmed Shah issued Afghan gold coins from 1735. Until recently Afghan gold coins have been typical Islamic designs, without portraits, and with only inscriptions, which are mainly indecipherable to most Westerners. In 1978, a gold 10,000 Afghani gold coin was issued as part of an international conservation collection, and this coin bore the legend "REPUBLIC OF AFGHANISTAN - 1978". In the same year, another coin of the same denomination was issued, again with a conservation theme, but with the legend "DEMOCRATIC REPUBLIC OF AFGHANISTAN - 1978". Technical specifications of the most frequently encountered Afghani gold coins. For silver and base metal coins of Afghanistan, please look at our original Chard Coins website. 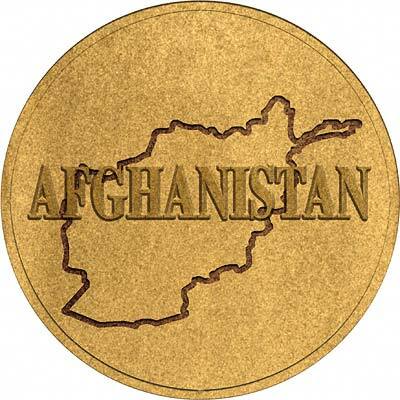 We make an active market in almost all world coins, gold or otherwise, including Afghani gold coins. If you have any of these coins to sell, please contact us, or post them to us for appraisal and offer.